A sequoia seed is approximately the size of a tiny oat. 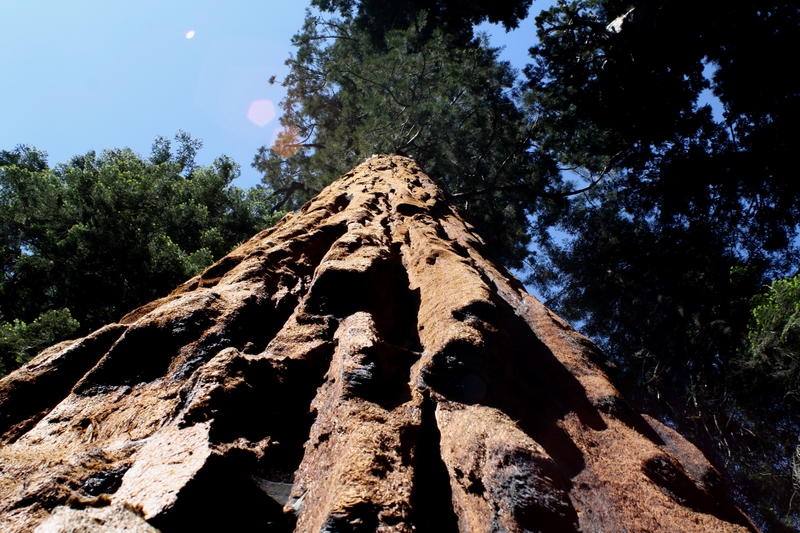 Within Sequoia National Park stands General Sherman—the biggest tree by volume in the whole world. To put it in perspective, the proportion of a baby sequoia seed to the present size of General Sherman is the same ratio as General Sherman is to the size of the planet Earth. When the sequoia seeds fall to the ground, only one in one billion will survive. If a seed takes root and begins to grow, it will spend the first 200-500 years growing upwards in an effort to avoid competition and to reach the canopy for maximum sunlight. The tree then spends the next thousand or so years growing wider, sturdier, and stronger. As humans, we don’t have the luxury of spending hundreds of years forming our framework or foundation. In the short life we have to live, we must make our choices with integrity. To rise above the rest, we must be ethical and take the high road. One of my first mediations taught me some insights into the importance of ethical behavior. At the time I was a youthful idealist with the “Model Rules of Professional Conduct” and “Code of Professional Responsibility” still encoded in my memory. The case was between a client and his former attorney. Upon learning that the dispute was over unpaid attorneys’ fees, I made a concerted effort to ensure neutrality even though my initial bias would have been to sympathize with the attorney—as a young attorney myself. Within a few short minutes any sympathy I may have had for this attorney was thrown out the window. Throughout the private session, the attorney employed endless vulgarities in sharing his view of the situation and his former client. In an effort to share “wisdom” with me “attorney-to-attorney,” he provided anecdotes about getting money from a client upfront before “the win” since they are otherwise ungrateful. He even went so far as to personally attack me by diagnosing my handwriting style. At the beginning of the session, this behavior merely threw me off guard. However, I became more upset with the attorney’s arrogance as he began spouting off his credentials which included being an adjunct ethics professor! I simply could not reconcile his behavior as a lawyer and an ethics professor, with the high standards of ethics required in both the legal and education profession. Help the Parties See the Bigger Picture. The attorney failed to recognize how his actions contributed to the underlying dispute. The attorney spoke only of how clients are ungrateful without realizing that the vast majority of clients pay their fees and express their gratitude and appreciation for their lawyers. Generally, clients are frustrated with the litigation process, but when an attorney fails to properly channel this frustration, the client often becomes angry and disappointed with the attorney’s efforts. The mediator should sit down with the individual and restart that individual on a healthier path in life. The mediation process might have been able to help the attorney reflect on his own experience with clients and why it was so different from others in the same profession. Perhaps the attorney might have realized that his own actions were at least a small factor in the client’s ultimate dissatisfaction and failure to pay. Be the Sequoia. As a mediator, our job is not to judge the parties. No matter how morally despicable or vulgar a party may be, like the Sequoia, a mediator’s role is to rise above it all. A mediator must be unwavering and remain neutral despite the parties’ tactics or maneuverings. A mediator must stand tall, serving as a source of strength and leadership. Only by removing her own belief system from the picture will the mediator be able to shape and guide the mediation process to best create fertile grounds for settlement…and isn’t that the goal of mediation in the first place? Special thanks to Mediator Max Factor for his guidance and reflection. Also available on ADR Times.